EXEDY Lightweight Flywheels combine low weight, low inertia and high thermal capacity. They are designed for light to moderately tuned racing cars for drag racing, autocross and rally events, as well as street usage. They are made from solid one-piece billet chromoly steel or chromoly steel forgings. 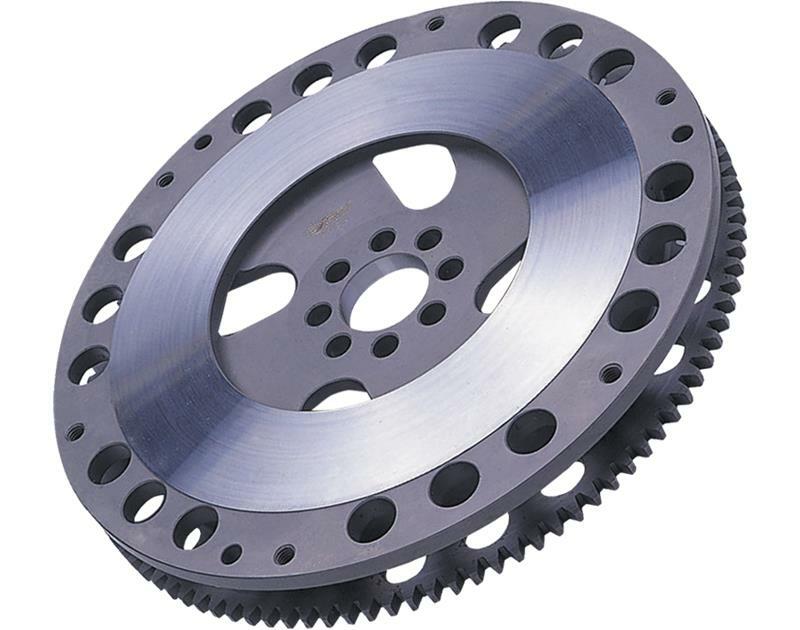 They are specifically designed to reduce weight and inertia for better engine response. Most incorporate special design features to enhance the airflow which improves the cooling of the clutch. 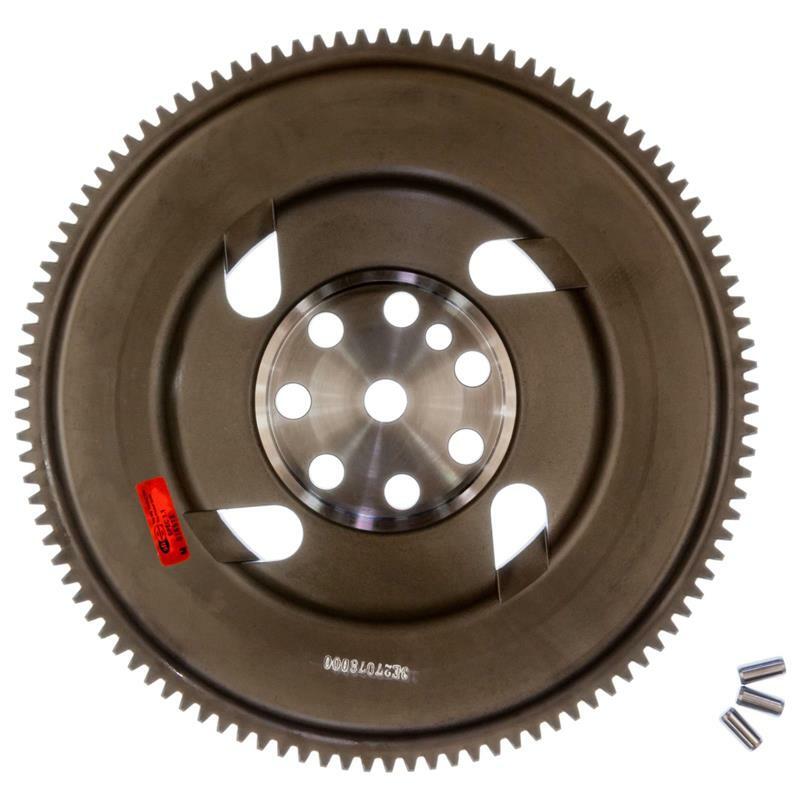 The ring gear teeth are integrated onto the flywheel unlike an aluminum flywheel where the ring gear is pressed onto the flywheel and has the possibility of separating from the flywheel due to the different expansion coefficients of aluminum and steel. Newly available are lightweight, solid replacements for vehicles fitted with OE dual mass flywheels. EXEDY lightweight flywheels have passed engineering tests to 15,000-18,000 RPM. They are guaranteed not to fail to the said RPM, and are all SFI approved. 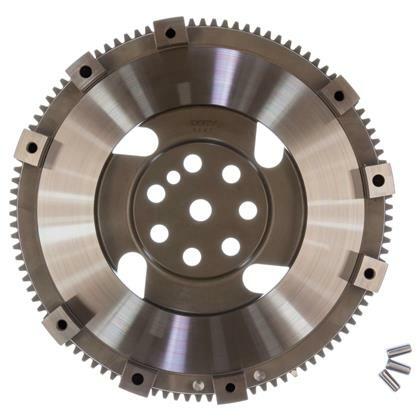 All EXEDY Lightweight Flywheels are made from either forged or billet chromoly steel. Chromoly is an abbreviation for “chromium-molybdenum steel” due to it’s property of incorporating alloy elements chromium and molybdenum. Thanks to this combination of materials, chromoly has an excellent strength to weight ratio and is considerably stronger and harder than standard 1020 steel or other aluminum flywheels on the market. The SFI Specification establishes uniform test procedures and minimum standards for evaluating and determining performance capabilities specifically for replacement flywheels used by individuals engaged in competitive motorsports. All EXEDY chromoly Lightweight Flywheels meet or exceed these standards. All EXEDY Racing Lightweight Flywheels carry SFI 1.1 Certification. Which means, when you buy these products, you can be confident they are certified for use in competitive motorsports.